saving the lives of the homeless dogs of the 5th Ward in Houston, Texas. or for more donation options, please visit our Donate page! We are funded 100% by the generosity of others. Clipped Ear Cat Sanctuary DBA Forgotten Dogs of the 5th Ward Project is a 501(c)(3) non-profit organization. Our EINumber is 26-2968977. All donations are tax-deductible. Any further documentation can be provided upon request. and they have some fun and fabulous treats in store for you! 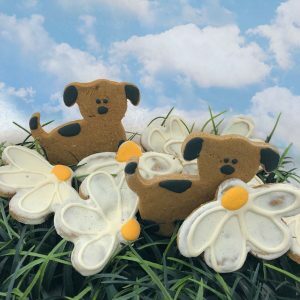 These Delightful Daisies will make every dog want to stop and smell the flowers! to care for our adoptable dogs and help more homeless pets. Shopping is easy with Amazon’s Gift Guides. Clipped Ear Cat Sanctuary dba Forgotten Dogs of the 5th Ward Project. Start shopping and supporting us here!